Now that an independent gaming company verified the math, Casino Over Under LLC may use it to submit applications for admission and initial trial runs in the various gaming jurisdictions. According to the company, the goal is for the game to be considered the best casino game for new table game players. 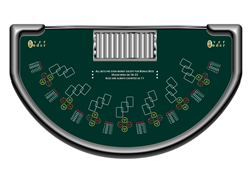 Layout for the best casino table game option available to new players. "The game has what I consider the play factor. It sticks to the K.I.S.S. principle. Very easy to play and it has a fast pace" Casino Gaming Expert, JJ Woods. 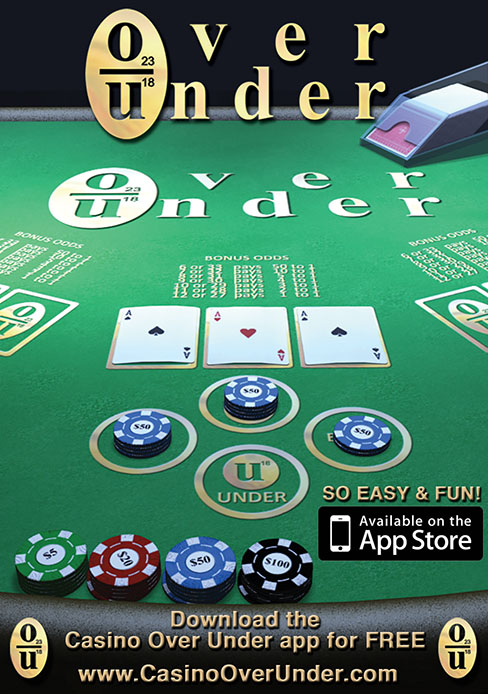 New game Casino Over Under just obtained GLI approval. Gaming Laboratories International has offices in New Jersey, Colorado and Nevada. GLI specializes in running their own tests to determine the validity of the math supporting casino games. Many gaming jurisdictions make it a requirement that before any new games ever see a casino floor, they must be reviewed by an independent gaming lab. GLI is used for this task and more widely accepted than any other gaming lab. So now Casino Over Under LLC may use GLI's report to apply for licenses to have the game played in many casinos worldwide. 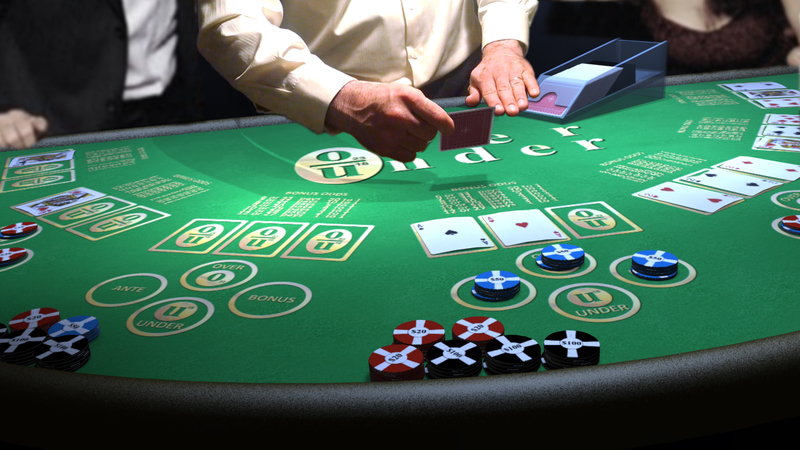 According to game's creator, the game was created for the specific purpose of giving new players a soft option to blackjack (Arguably the best casino table game in gaming history.) that provides them with a better shot at winning. "Many players' first experience is sitting at a blackjack table. They fail to realize, the optimal strategy required to get those favorable odds is quite complex and the experience ends up a bad one," said Jason Kobal, Casino Over Under LLC, President. According to the math contained in the GLI report Casino Over Under has a house edge of 1.1%. According to the UNLV Center for Gaming Research most players play BJ giving the house an edge of 2% or higher due to deviations from optimal strategy. Casino Over Under LLC has submitted their first application in Mississippi and plan on submitting additional applications to many more jurisdictions across the US. There is a section on the company's website that contains a form for people that wish to see the game at their casino. There is also a free app in the appstore.